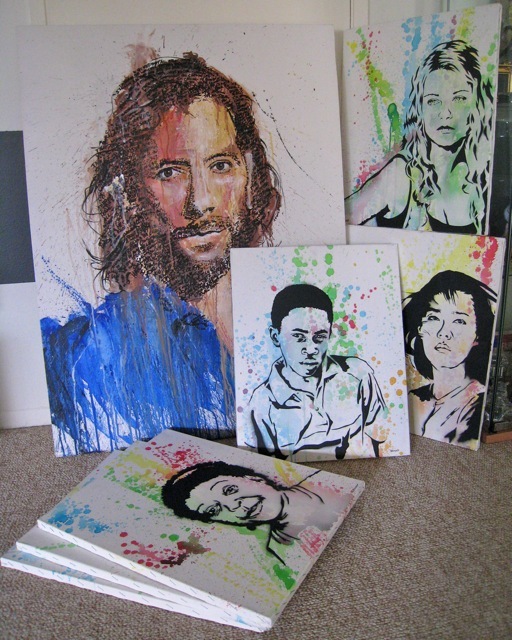 The uber-talented drMikey has donated some very awesome paintings to be auctioned off for our cause! The lot includes the original painting for “Untouched”, which features Desmond, as well as a number of pieces from the Harmonic Resonance Project! If you haven’t already done so, show him some love on Facebook or Twitter. You can also view and purchase some of his amazing work on his website. drMikey, we thank you for your incredibly generous donation!